Mercury gold is seen in the gold pan and represents the result from one portion of the concentrates that were collected on the sluice. Mercury collects small particles of gold together, and we recovery mercury and dispose of it. We do not use mercury in recovery of the gold. 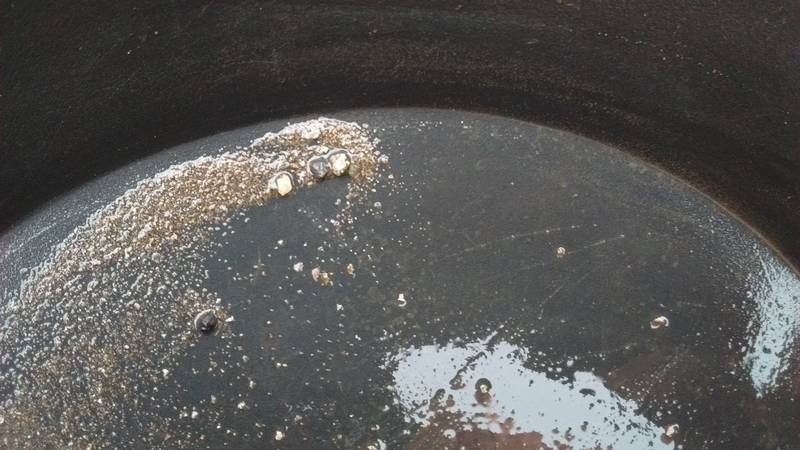 We recover both gold and mercury accidentally due to previous mercury pollution.